We didn't have much time today, but wanted to have a quasi-observance of Cinco de Mayo by having some Mexican food. 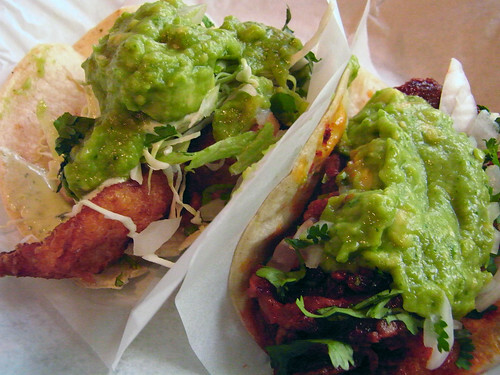 A quick lunch at Pinche Taqueria's original location seemed like our best bet. We can't go there without ordering the fish tacos - they're really good, and many others think so too.